In almost all of them Albania and the Balkan area including Bosnia and Herzegovina, Montenegro, Macedonia, and Serbia have all ranked very poorly. 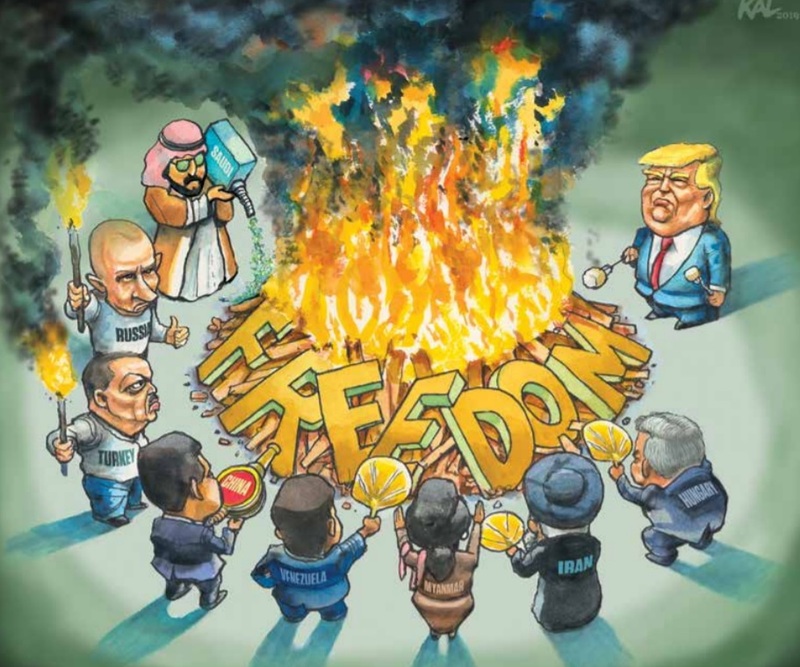 As democracy on a global scale is retreating at an alarming rate, leaving almost two thirds of the world’s population living in a not free country, what was once a right, is now becoming something of a rarity. Albania is classed as partly free, a hybrid regime, and the state of the media is considered highly problematic by Reporters Sans Frontiers. A 2018 report by them found that censorship is rife, journalists work in fear and uncertainty, and the majority of the country’s media is captured by wealthy businessmen with political ties. Corruption is rampant with total impunity and the public, and the media are becoming slowly desensitised to the never ending stream of scandals. Stories that would make significant waves and result in resignations or prison sentences elsewhere are received like water off a ducks back in Albania and fade into the background in a matter of days. But this is not just an Albanian problem. Across the border in Kosovo, many investigative or candid journalists feel threatened and are even physically attacked. Kosovan journalist Parim Olluri was attacked two years ago by his house and he received no help from the police. He knew his attackers and informed the authorities, yet nothing was done. Days later he received messages from politicians and those mentioned by Olluri, denying the attack therefore proving that information was being leaked from the police to the government. Meanwhile in Macedonia, the journalists regularly receive death threats and proposed amendments to the Electoral code will give the State Election Commission the power to issue fines to the media for “unbalanced reporting”. Currently Macedonia ranks as 109 in the 2018 World Press Freedom Index following the 2018 shooting of Olivera Lakic who was attacked outside of her apartment. Back in 2018, Bosnian journalist Vladimir Kovacevic and the owner of The Bosnian Times, Nedzad Latic were physically attacked yet their attackers remain at large due to lack of action by the authorities. These Balkan countries, Albania included are all so desperate to join the EU but don’t seem to want to take note of any of the fundamental prerequisites to joining the union such as respecting freedom of expression. As it stands at the moment, things in Albania are set to go from bad to worse with the pending introduction of the “Anti-slander package” proposed by Edi Rama. The suggested legislation will require all media portals to register with the government and risk being shut down whilst facing charges before the case makes it to court. Those that are deemed as “fake news” or “offensive to public morals” can be shut down immediately with appeals from the owners only possible after lengthy court proceedings. The fate of ever blog, news site, media portal, or independent journalist will be in the hands of Edi Rama and his employees.